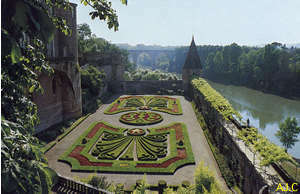 ”French” garden inside the bishop Palace where is located the Toulouse-Lautrec Muséum. All the days except 1st January, 1st May, 1st November, 25 December: From 8 am to noon and 2 pm to 6 pm. July and August: from 8 am to 7 pm.